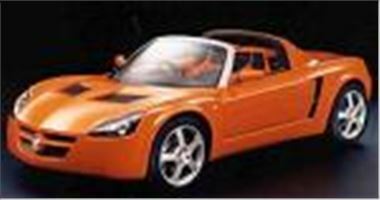 This week's Deal of the Week from www.showroom4cars.com is European supplied Opel Speedsters for £2,790 less than the list price of the virtually identica Vauxhall VX 220. Available for immediate delivery in metallic silver, with an enhanced specification that includes black leather interior, hardtop, radio and CD for just £22,999 on the road, these cars only require the addition of a Cat 1 alarm (approximately £300) to bring them to full UK VX220 specification. All www.showroom4cars.com prices are On The Road, and include 12 months' vehicle excise duty and first registration fee.